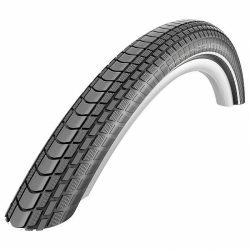 Modeled after Goodyear’s Assurance All-Season automobile tire, the Transit Tour combines a durable, utilitarian construction with directional siped tread that offers unsurpassed all-weather traction. 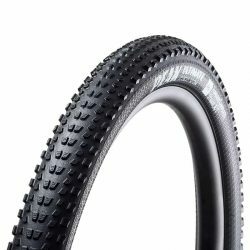 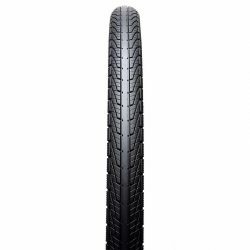 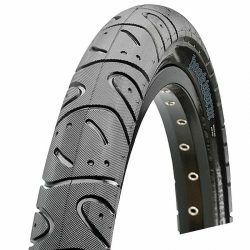 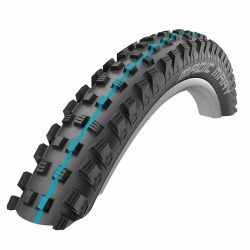 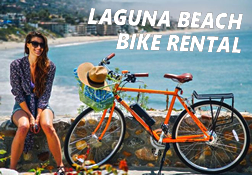 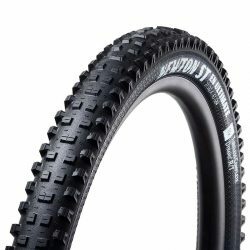 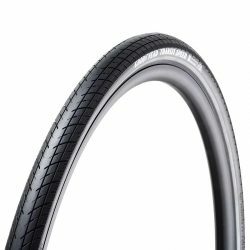 This top of the line electric bike certified bicycle tire is from Goodyear’s line of premium bike treads. 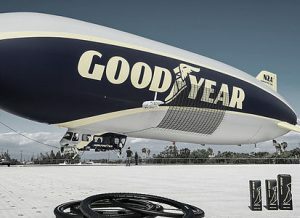 Yeah, the guys with the blimp. Constructed to eBike approved standards and with reflective side strips enhancing twilight and night visibility, the Goodyear Transit Tour is an electric bike tire that provides robust flat protection along with a comfortable ride for your next journey. 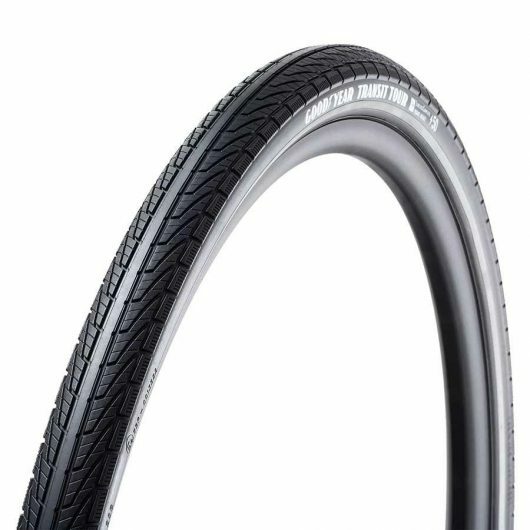 Fitments: 700×35/40mm based on 21mm inner rim. 700x50mm / 27.5×2.0 based on 23mm inner rim.